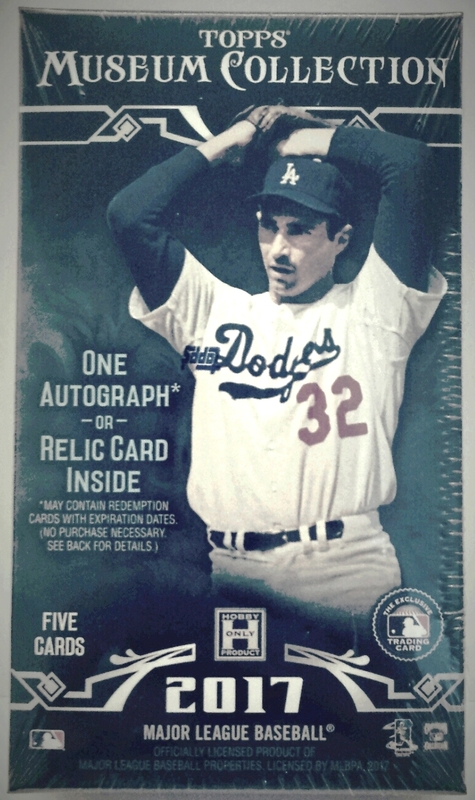 Looking at Sandy Koufax enter his flawless delivery on the cover of 2017 Topps Museum Collection, the elegance that he showed on the mound foreshadows what this product delivers. 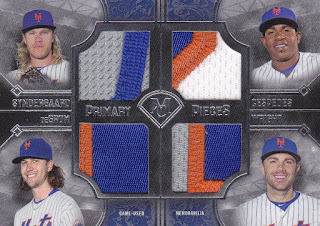 With on-card autographs that stand out on high-grade thick stock, and radiant jersey relic pieces distributed throughout, this set proves once again that it is worthy of being a cornerstone display of any modern collection. Opening the box, one will find four mini-boxes, which even those are worthy of being collected, as the four together pay a fitting tribute to one of the most beloved Dodgers Hall of Famer. Each mini-box guarantees either an autographed or relic card, giving collectors four exciting chances to pull a big hit. Sorting through each five-card pack, the four base cards with their high gloss finish and limited edition parallels are in demand, as coveted rookie cards of Aaron Judge, Andrew Benintendi, and Yoan Moncada are being chased by fans across the globe. The additions of iconic legends such as Babe Ruth, Roberto Clemente, and Ted Williams serve as an added bonus to the merits of this 100-card set. While the aforementioned base cards serve as a delightful benefit, those who purchased 2017 Topps Museum Collection are looking to score a rare autograph or relic that justifies the product’s $200 price tag. Primary of interest are the dual and triple signed cards, as combinations of some of the best ever to play the game are together on the same piece of memorabilia. 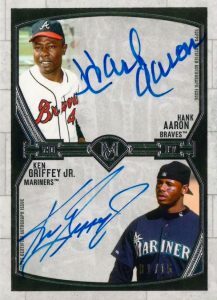 Who wouldn’t want a dual signed card of Hank Aaron and Ken Griffey Jr., or a triple signed card of the Hall of Fame Atlanta Braves rotation of Tom Glavine, Greg Maddux, and John Smoltz to add to their collections? For those who are eyeing the next generation of Hall of Famers, 2017 Topps Museum Collection has that covered. 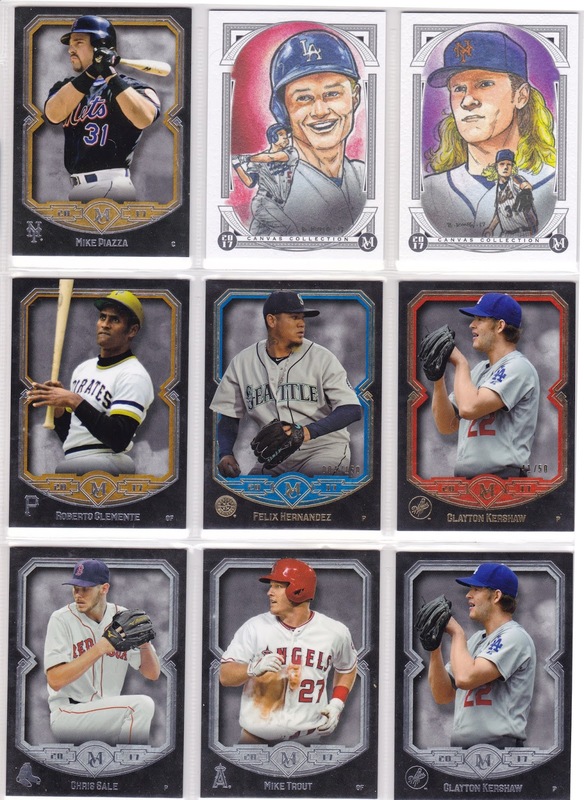 In addition to the aforementioned trio of top rookies in their autograph roster, the likes of Kris Bryant, Bryce Harper, and Mike Trout all appear throughout the variety of signed cards available in this set. The gold signed Museum Framed and Premium Prints autograph variations jump off of the cards, further solidifying their desirability in collections. The box provided for this review stayed true to form, yielding one on-card autograph, one relic autograph, a quad patch and a prime relic, each with the quality that one has come to expect from Topps’ Museum Collection. 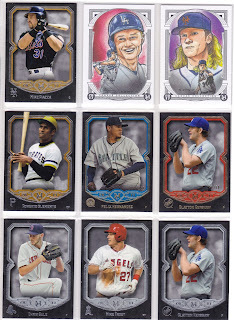 As the All-Star Game approaches, Topps has once again given collectors a reason to keep their focus on this release without having to look ahead to what is coming in the second half of the season.